It's time to see something new so let's take a look at this beautiful item of clothing. Designed perfectly for your next event. 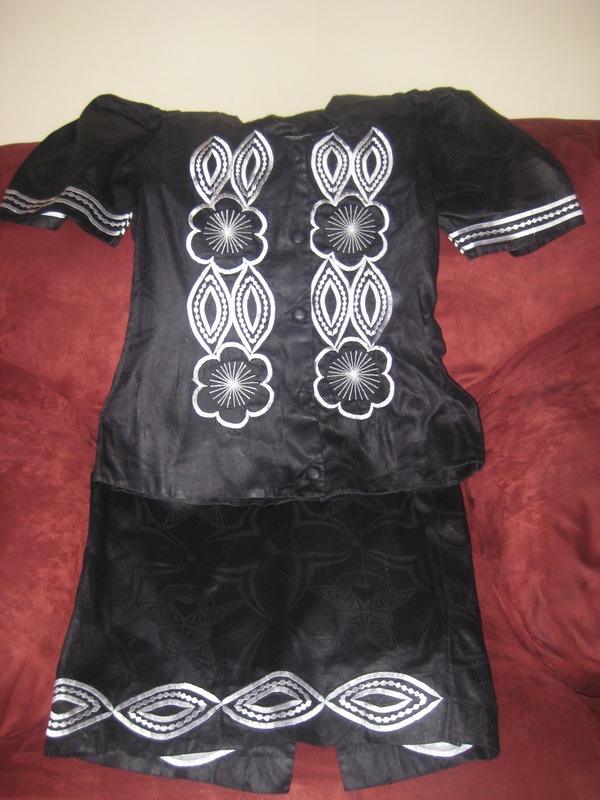 This beautiful black ensemble with white embroidery is stunning. 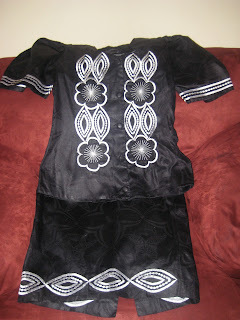 This two piece has a button down top complimented by a skirt. The design on the top is absolutely stunning with flowers and ovals that resemble African shields. This outfit is sized for a person that is a S or M.
So if this item strikes your fancy for to the auction and make your bid. It could be yours in a matter of days.